Reduce the apple cider: Stirring occasionally, simmer the apple cider in a small saucepan over low heat until you're left with about 1/2 cup. Start checking at 10 minutes, 15 minutes, 20 minutes, etc until you have 1/2 cup (120ml). Mine takes about 20 minutes. Set aside to cool for 10 minutes. Preheat oven to 350°F (177°C). Spray donut pan with non-stick spray. Set aside. Make the donuts: Whisk the flour, baking soda, baking powder, cinnamon, apple pie spice, and salt together in a large bowl. Set aside. Whisk the melted butter, egg, brown sugar, granulated sugar, milk, and vanilla extract together. Pour into the dry ingredients, add the reduced apple cider, and whisk everything together until smooth and combined. Batter will be slightly thick. Spoon the batter into the donut cavities—for ease, I highly recommend using a large zipped-top bag. Cut a corner off the bottom of the bag and pipe the batter into each donut cup, filling about halfway. Bake for 10-11 minutes or until the edges and tops are lightly browned. To test, poke your finger into the top of the donut. If the donut bounces back, they're done. Cool donuts for 2 minutes then transfer to a wire rack. Re-grease the pan and bake the remaining donut batter. 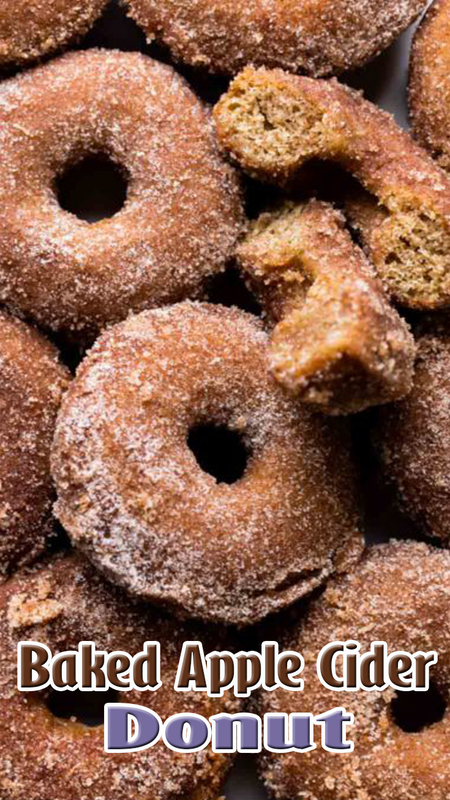 Coat the donuts: Combine the granulated sugar, cinnamon, and apple pie spice together in a medium bowl. Once cool enough to handle, dunk both sides of each donut in the melted butter, then generously in the apple spice topping. Donuts are best served immediately. Leftovers keep well covered tightly at room temperature for up to 2 days.